We can now announce the start of a new project for the AVL, looking at how we read comics! This project is in collaboration with Duncan of Jordanstone College of Art and Design and the School of Humanities at Dundee University, and will begin in June. Words and images are frequently used together to communicate information to the viewer, in signs, instruction manuals, adverts and comics. Despite this, much research has focused on how we gather information from words or images alone. 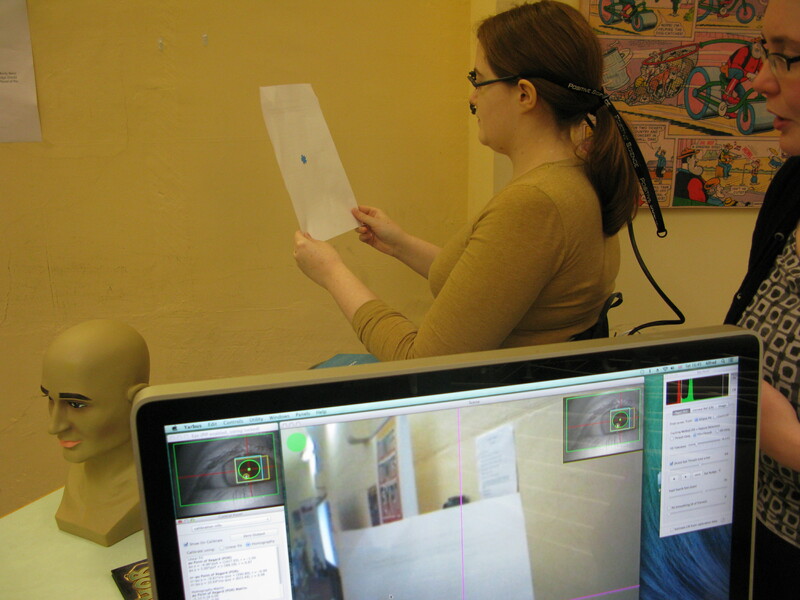 In this project, we aim to further our understanding of how we gather information from both sources, using the medium of comics and the method of eye-tracking. Not only do comics convey their stories via word and image combinations, there are established theories and rules underpinning how these combinations are presented from influential figures such as Will Eisner and Scott McCloud. Writers and artists follow (or break) these rules to influence the reader’s experience and understanding of the story. Using these theories as a base, we can explore for the first time whether the ideas they propose are borne out by the reader’s experiences. 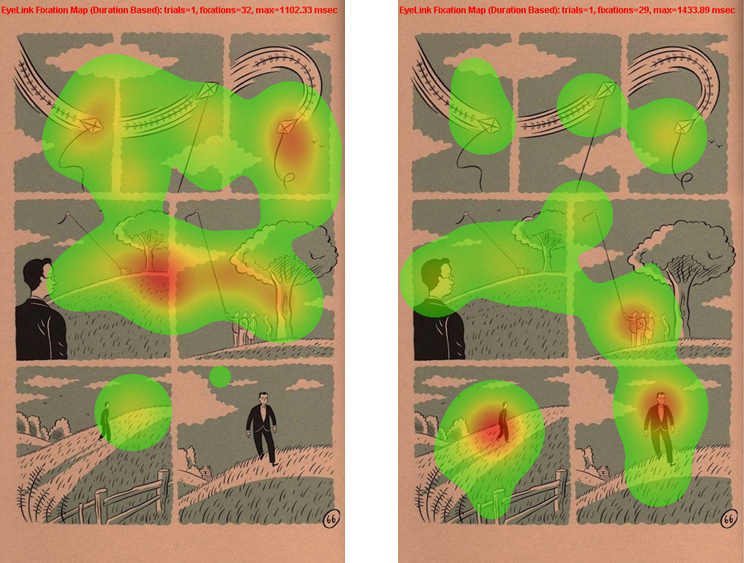 Eye-tracking allows us to follow a reader’s eye-movements as they view a comic page. We can determine which areas catch their attention and hold it, if they need to re-read areas that seem unclear, and how they may divide their attention between words and images within the panels. By combining these measures with the reader’s reports of their enjoyment of the comics, we hope to gain a better understanding of the comic reader’s experience, and how comic conventions may be best employed to increase their involvement and enjoyment in the story on the page. 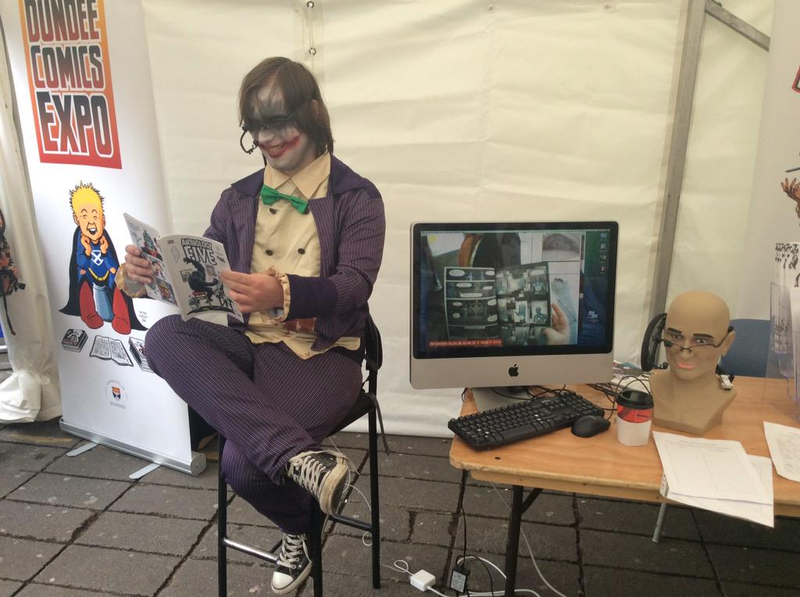 We have already been active at comics events in Dundee, including the ‘Spirit of Scotland’ event (part of the Dundee Comics Expo celebrating the anniversary of Will Eisner’s visit to Scotland) and Dee-Con, Dundee’s student created anime and comics convention. This project is funded by the ESRC and is run jointly by Ben Tatler, Chris Murray (School of Humanities) and Phillip Vaughan (DJCAD) with Clare Kirtley as the postdoc.